It is report that the President of United Labour Congress (ULC), Mr Joe Ajaero, has commended President Muhammadu Buhari for signing the Executive Order to improve local content and secure jobs for Nigerians. Newsmen recall that the president on Feb. 5 signed the Executive Order that would improve local content in public procurement with science, engineering and technology component. Ajaero, who fielded questions from journalists in Lagos on Friday, said that the Order barring foreigners from taking jobs that could be performed by Nigerians was laudable. ”The Executive Order is a laudable development not just to Nigeria but to all workers. We commend this bold initiative of government drive to focus on promoting local content. ”ULC is excited that an Executive order has been signed to stop the haemorrhaging of our jobs and its attendant losses in tax and its various economic multipliers,” Ajaero said. He said statistics showed that unemployment, particularly among the youths which stands at 75 per cent, has become a major challenge. The union leader said that the percentage was due to the dwindling capacity of local businesses to create enough jobs to retain old workers, absorb the unemployed and engage new entrants into the market. He advised the president to ensure compliance and if necessary to set up a tripartite body that would monitor it. The labour leader further called on government to audit workplaces to discover organisations sabotaging and haemorrhaging jobs in the country. 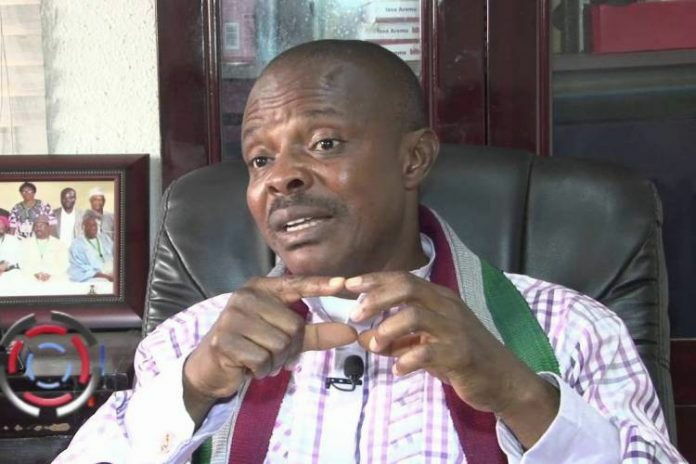 Ajaero also urged the Labour, Foreign Affairs and Internal Affairs ministries to work in unison and face the reality of the danger of job flights.